Jesus. 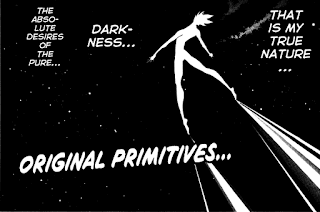 The literal edge this chapter. That aside, it was pretty good. It helps explain a few things like the state of Japan and give an actual proper reason why Hayato was taking on the government unlike in the original where it was pretty badly done. From what I remember, it was like "hurr durr because reasons" where here it's actually understandable why they're doing what they're doing. Anyway, I'm glad to have this chapter done because it was rather tiring to do, but I've making great progress through the second volume. At any rate, the final Betterman chapter is coming next, and the ending is different from the anime which was nice to see. Look forward to it. Enjoy this chapter. See ya!